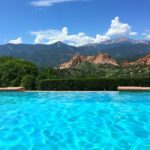 When visiting Colorado Springs, there are a couple of places you cannot miss. 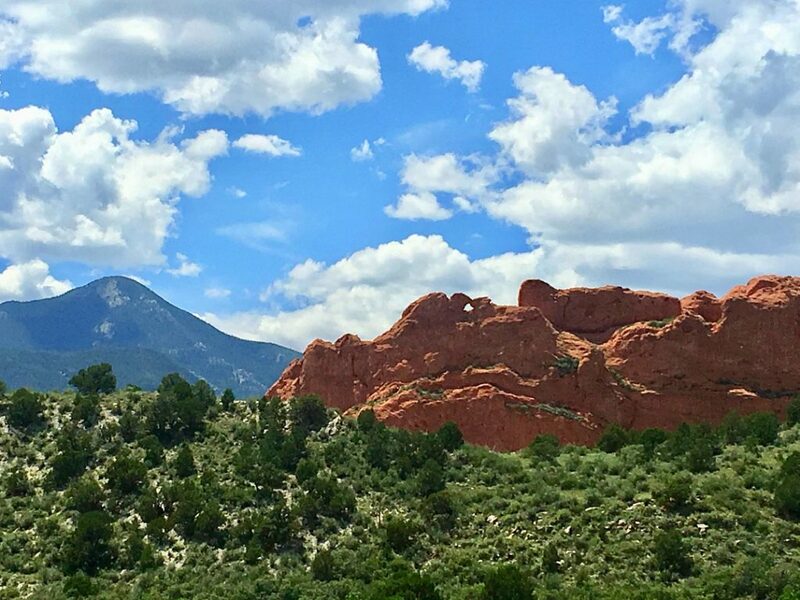 One is Garden of the Gods, and the other is Manitou Springs. 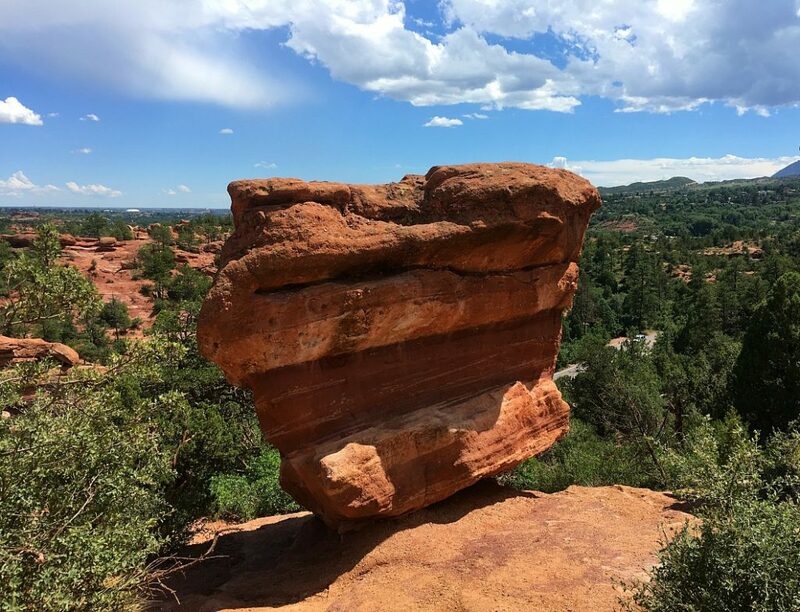 The former are gorgeous rock formations that are magnificent to see, and the latter is a quirky, fun little historic town. 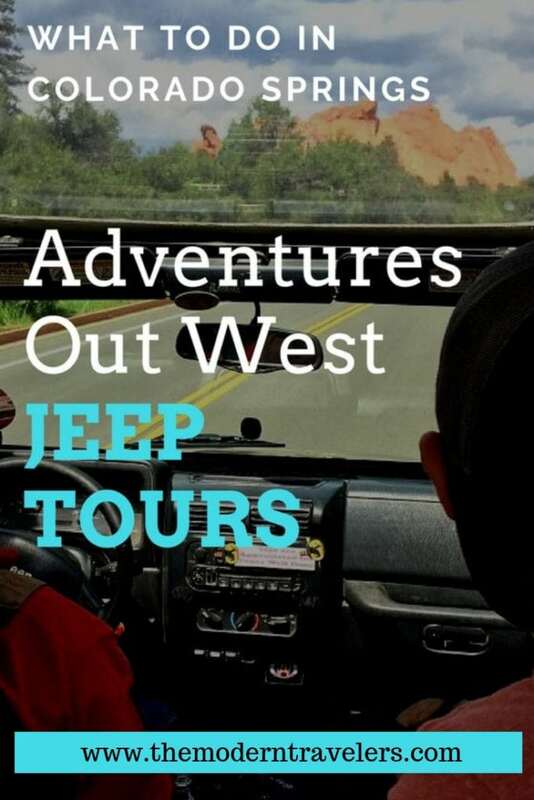 A great way to see all this is with a Jeep Tour with Adventures Out West. 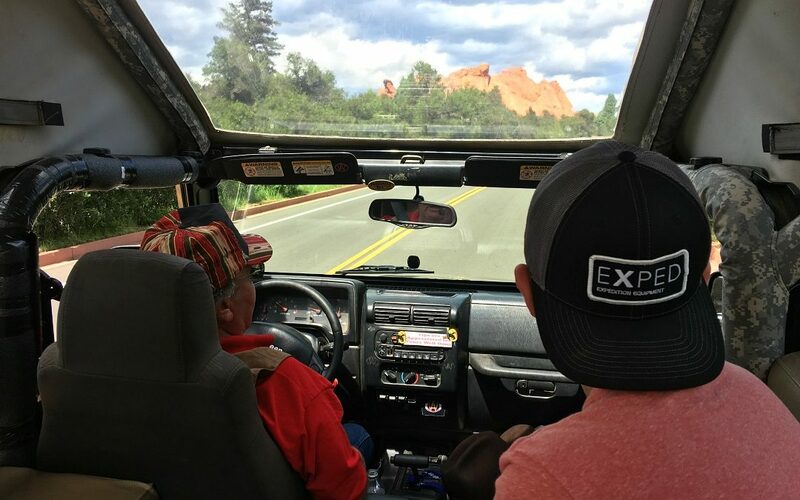 A Jeep tour gives you a wonderful overview and it’s a treat to ride around in an open-air Jeep while learning all about the area from a native guide. Buckshot was our upbeat, friendly guide, and he is a Colorado Springs native filled with local knowledge. 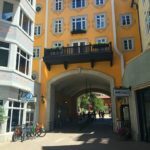 He crammed a lot in a short period of time, so I think this tour would be especially valuable for people who are just in town for a couple of days–that way you won’t feel like you missed out on any important sights. He is basically a human google filled with information about the town–you can pretty much ask him anything, his knowledge is impressive. He covered geology (the Gods was once all under water) and history. I was fascinated and so was my 12 year old son. We hit the Garden of the Gods Park first. I haven’t been in the park in so many years, it was a thrill to see it exactly as I had remembered. Kissing Camels is my favorite rock formation in the park and I never get enough of this sweet rock and the majestic surroundings. 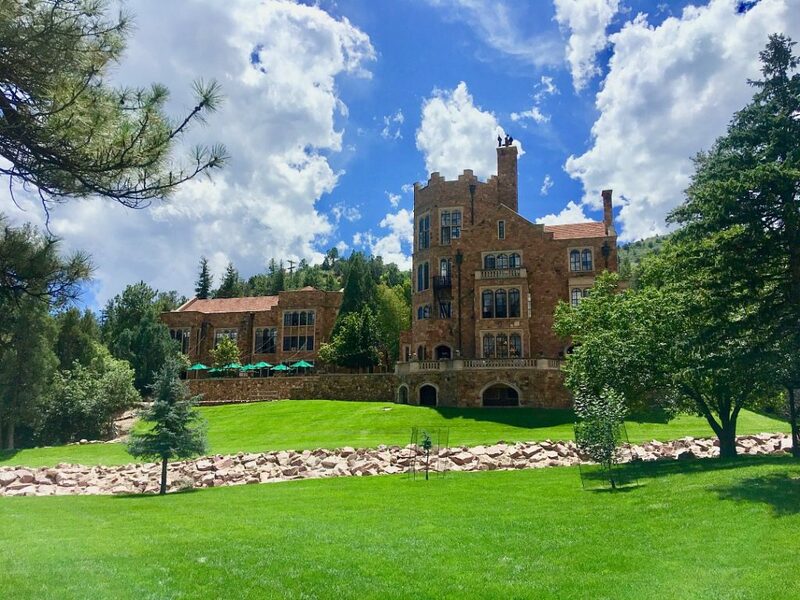 This is Glen Eryie Castle, the former home of General Palmer, the founder of Colorado Springs. Glen Eryie means “Valley of the Eagle’s Nest,” and there are indeed huge eagle nests on the property. I believe they were abandoned by the eagles, and are now being used by red tipped hawks. You can actually book a night at the castle and experience the Garden of the Gods that way too. 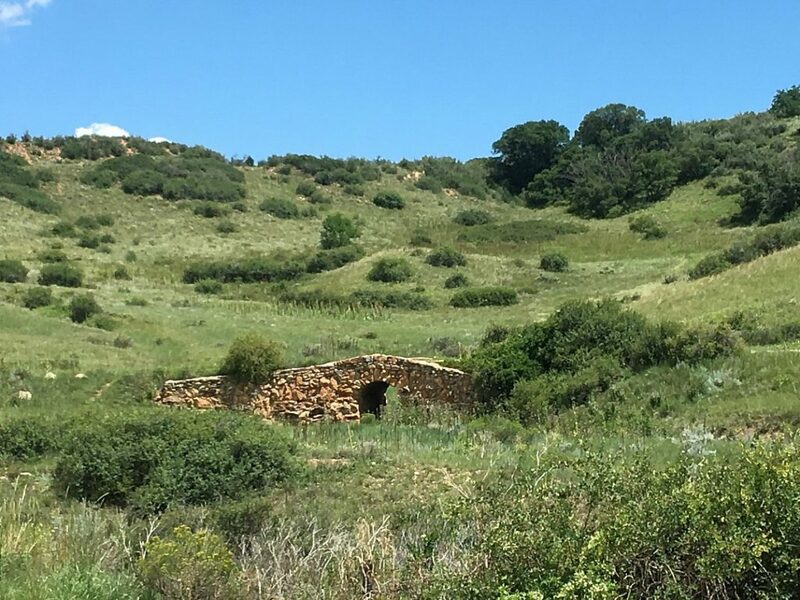 Buckshot pointed out things we would otherwise miss, like this cool old stagecoach route with the original bridge. He didn’t laugh at me when I asked him which mountain was Pikes Peak. From my vantage point, I couldn’t tell which was the tallest, and I’d never seen Pikes Peak without a snow cap. It was so bizarre to me to see it without the snow, which it used to have year round. We saw the classic balancing rocks, and the lesser known, uncrowded balanced rocks with sweeping backdrops. 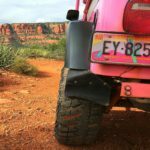 The jeep is not allowed to stop in the summer months, but you get the lay of the land and can return later to climb around if you want to. The park free and open 24/7 except on major holidays. 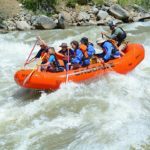 The park got its name in 1859 when two land surveyors were looking for a townsite around Colorado City. 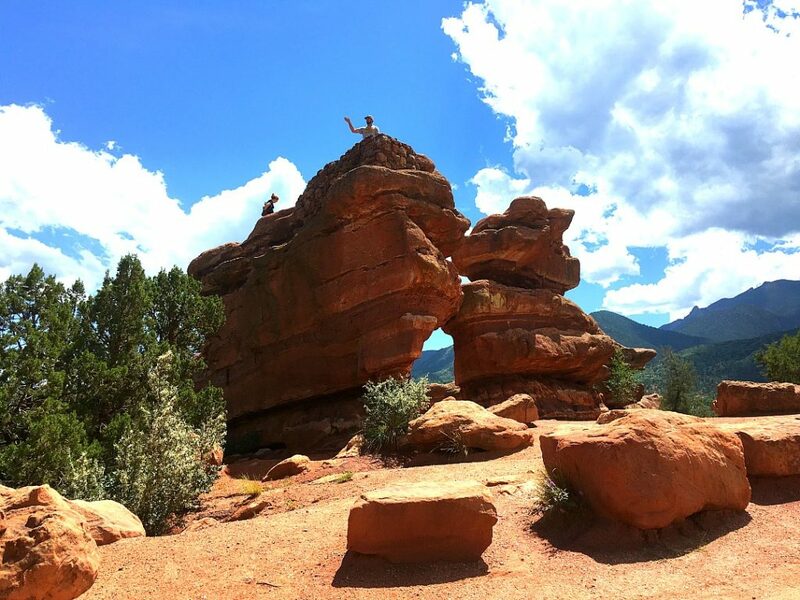 When the were exploring the area, they came upon the stunning sandstone formations. During discussions, the comment was made that it would make a great beer garden. A guy called Rufus Cable then scoffed at the idea of a beer garden, saying it was a fitting place for Gods to assemble, thus the name Garden of the Gods was born. 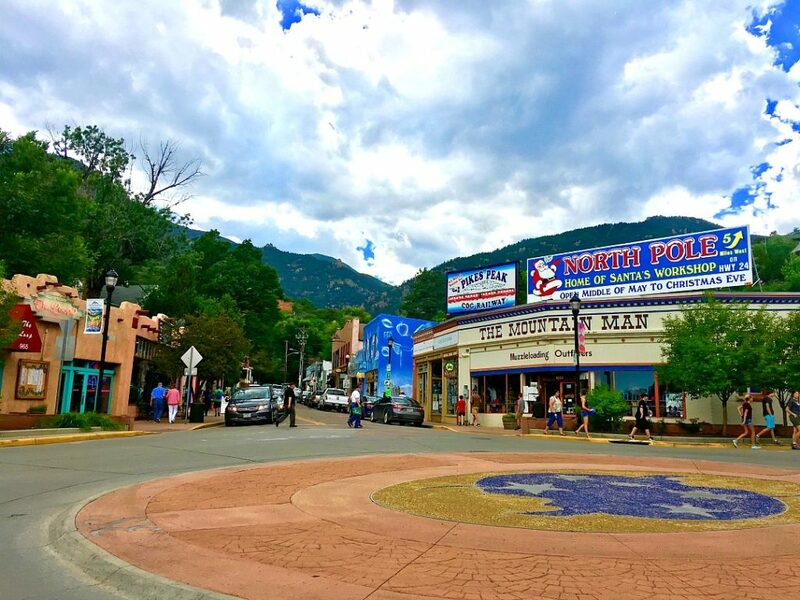 Manitou Springs was always one of my favorite Colorado destinations with its funky atmosphere and village vibe nestled in the foothills. It’s so cute, look at the moon and stars in the roundabout. 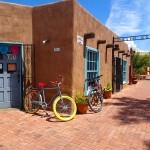 Single story buildings don’t obstruct the beautiful mountain views. 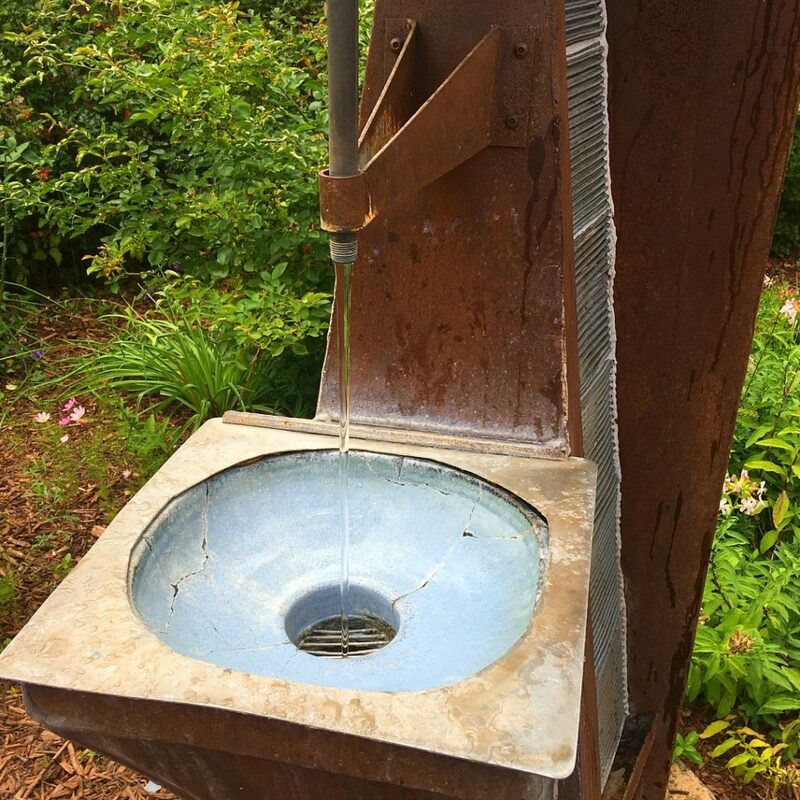 Spring water is free to all. We tasted it and it was interesting–definitely had a flavor to it, but it’s super pure, uncontaminated quality water. It comes from an underground network of bedrock caverns filled with water. Pressure builds and pushes the water to the surface. I love that the springs are open to everyone, any time. You can fill up gallons if you want to. 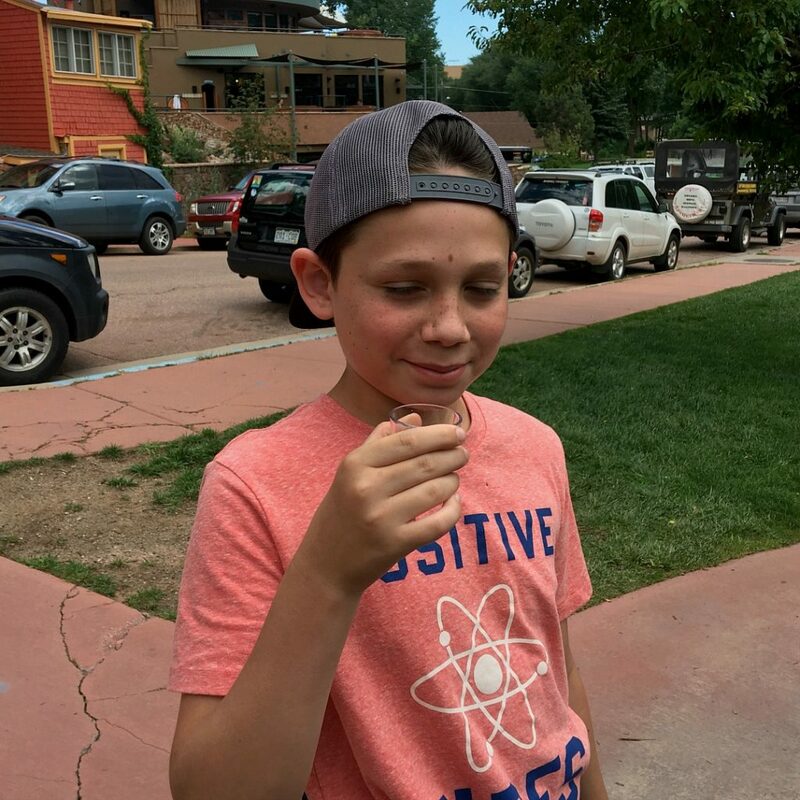 Buckshot told us lots of fun stories, but my favorite was about Emma Crawford who came to Manitou in the late 1800’s seeking the healing value of the springs to help with her tuberculosis. She lasted longer than predicted, but finally died leaving behind a last wish of being buried on Red Mountain. The community honored that wish, but later, during a storm, the coffin made its way back down the mountain into town. Today, they honor Emma by holding a parade and coffin races every Halloween. This is the kind of quirkiness that makes Manitou interesting. 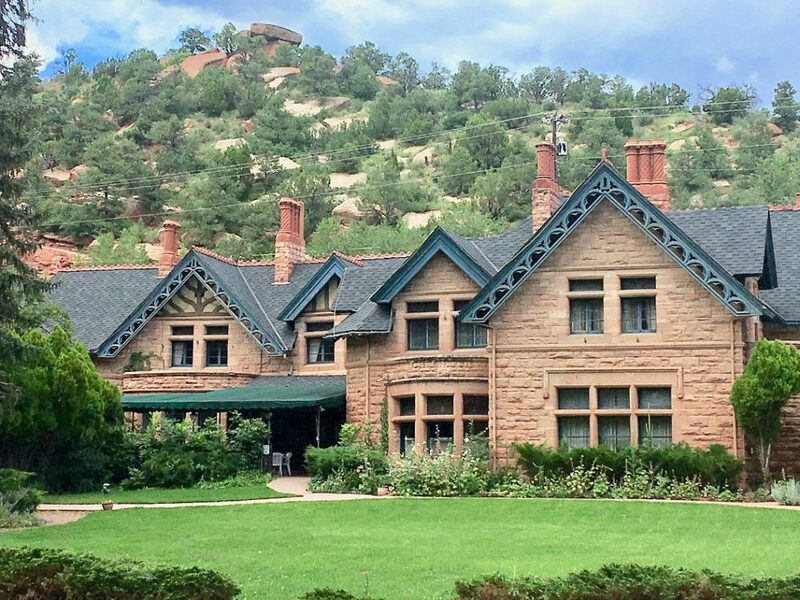 We saw the home of Dr. William Abraham Bell, who co-founded Manitou in 1872 with General Palmer with the intention of creating a wellness destination drawing people to the springs for their healing properties. 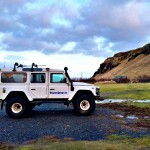 It remains a favorite among travelers, and I’ll aways have a soft spot for Manitou myself. 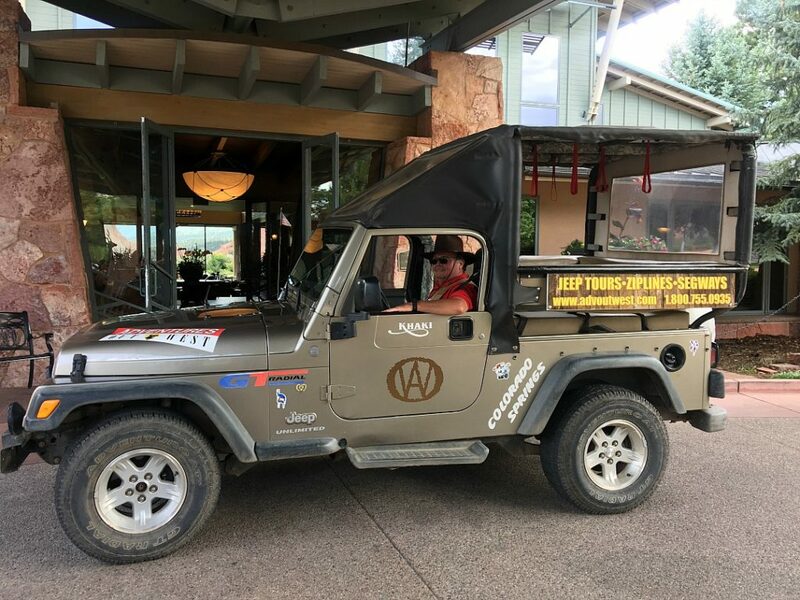 The tour concluded driving back past the Garden of the Gods, and back to our hotel, Garden of the Gods Club & Resort (which is right across the street form the park, and I strongly recommend. You can read my review of the resort HERE). Conversation was interesting and lively all the way up to the end. 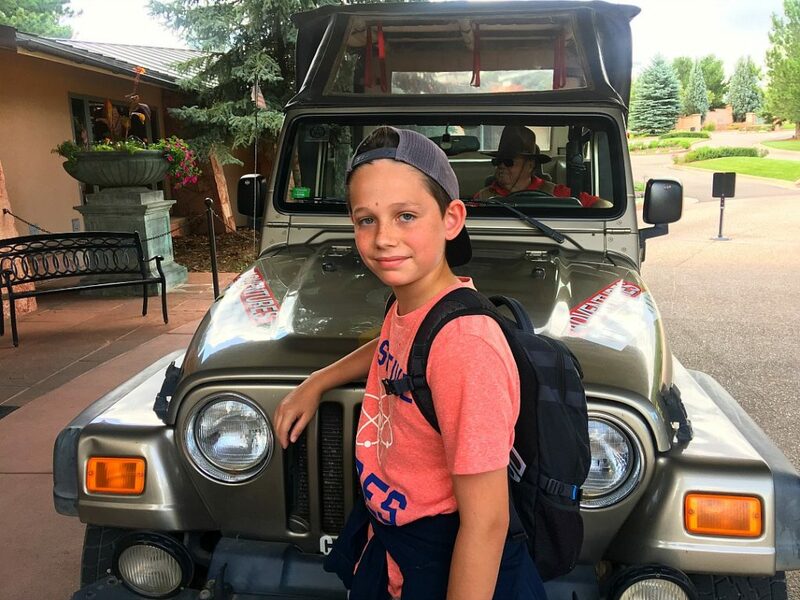 Don’t miss a Jeep tour in Colorado Springs with Adventures Out West, it’s fun and enjoyable to ride around in a Jeep in the fresh open air, and you will walk away with a much better understanding of the area. Find out more on the website HERE.